About the Film: All our knowledge comes from nature and yet nature is a source of many mysteries. 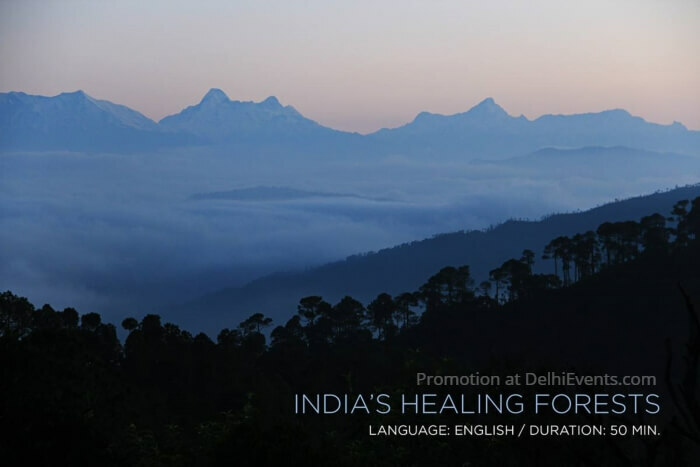 In this film, let us travel across some fascinating forests of India to explore the amazing ways in which nature affects our body, mind and spirit. Let us dig up some ancient wisdom and examine new findings on the role of nature from birth to death of a human life. Experience a stunning variety of landscapes that span lush rainforests, sacred groves, cloud forests, city forests, food forests and deep forests of the Himalayas. We hope to leave you with a feeling of calm and clarity, and some important clues to help you solve one of the greatest mysteries of your life – How to create a healthier, happier life for yourself and your loved ones. About the Film Maker: Nitin runs an independent production house that specializes in creating films with socially relevant themes. Films that tell stories of uncommon people and extraordinary places. His Youtube channel has over a 100 million views. Nitin is an Asia Society Fellow, being one amongst 21 people chosen from across Asia each year. He has also won a special award by the British Council for creative entrepreneurship in the social sector.